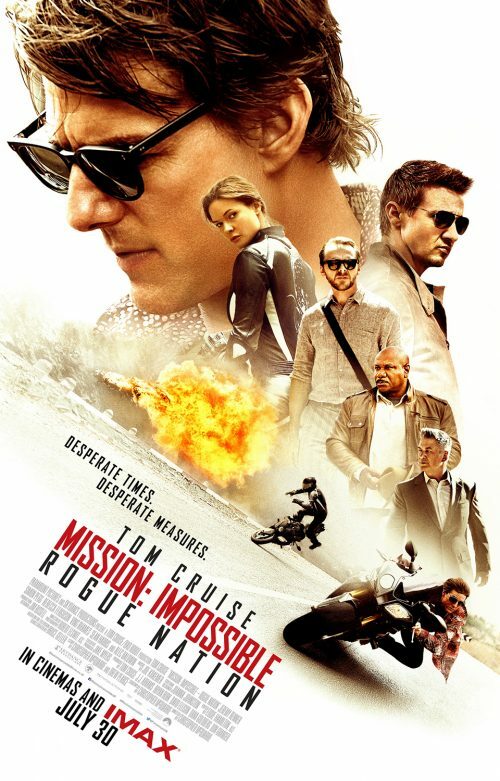 The Tag line for Mission Impossible: Rogue Nation, in a way, sums up the hew poster. It does seem to be a bit desperate. A bit lazy cutting out the stars. One jumps out at me straight away. Our female lead.Alex Baldwin has also had the same lazy treatment. It’s not that bad but could be done better given a little more time. It does have everything else. Explosions Tom Cruise on a motorbike and his huge head smothering everyone else on the poster.